Enjoy top-of-the-line living in Clearwater Hills homes, located in the heart of Paradise Valley, Arizona. An exclusive and gated community, over 150 properties fill the land. Large scale lots provide plenty of space for residents to stretch their legs with most homes sitting on at least an acre of land. The architectural style of Clearwater Hills property is as varied as its residents. 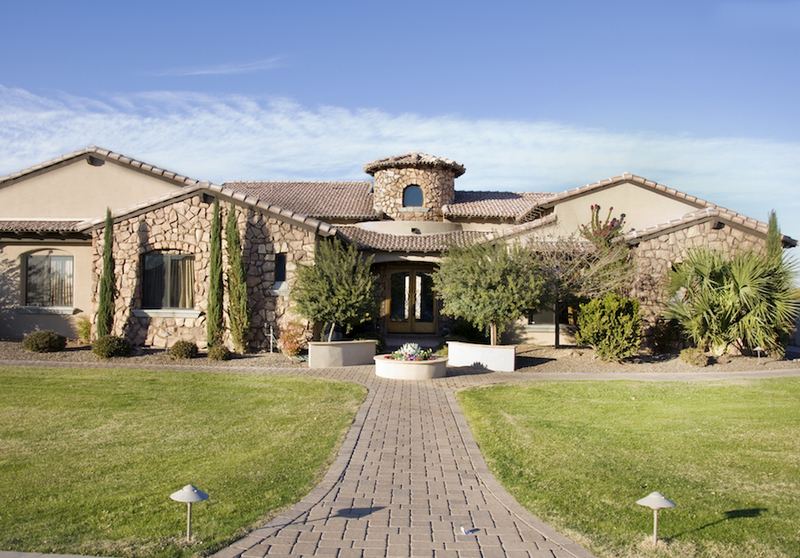 Neighborhood streets are composed of a mix of Tuscan, Ranch, Spanish and Contemporary Custom homes. Security is paramount to the peace of mind in this distinctive community and is diligently provided 24/7 at the Tatum Gatehouse. Located next to Phoenix, Clearwater Hills residents can take advantage of all the amenities of the big city while enjoying life in a quieter community. The backdrop of the Phoenix Mountain Preserve results in views breathtaking views and continual sunshine encourages a love for the outdoors. Sporting activities such as bike riding, hiking, walking and even horseback riding are all popular activities for those who live in Clearwater Hills. Education in the area is guided by Kiva Elementary, Mojave Junior High and Saguaro High School. All three schools stay true to their mission of providing area children with the best education possible leading to future successes. Those seeking property in Paradise Valley will surely find what they are looking for in Clearwater Hills homes. Call me to schedule a tour today.